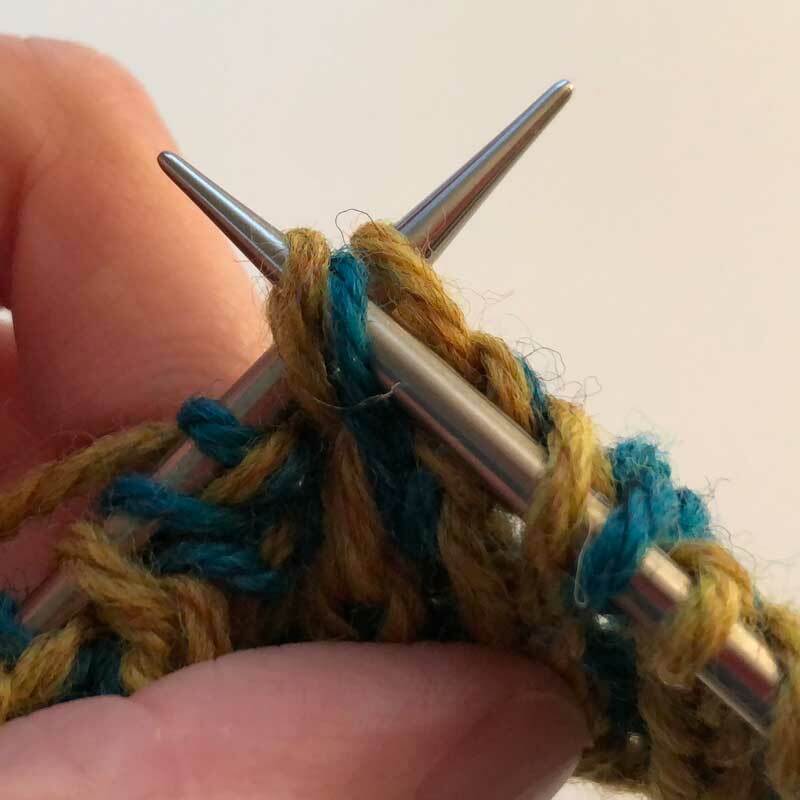 Step 1: Slip the first brioche stitch (consists of 2 stitches), as if to knit to the right hand needle. Make sure you keep the YO intact from the previous stitch. 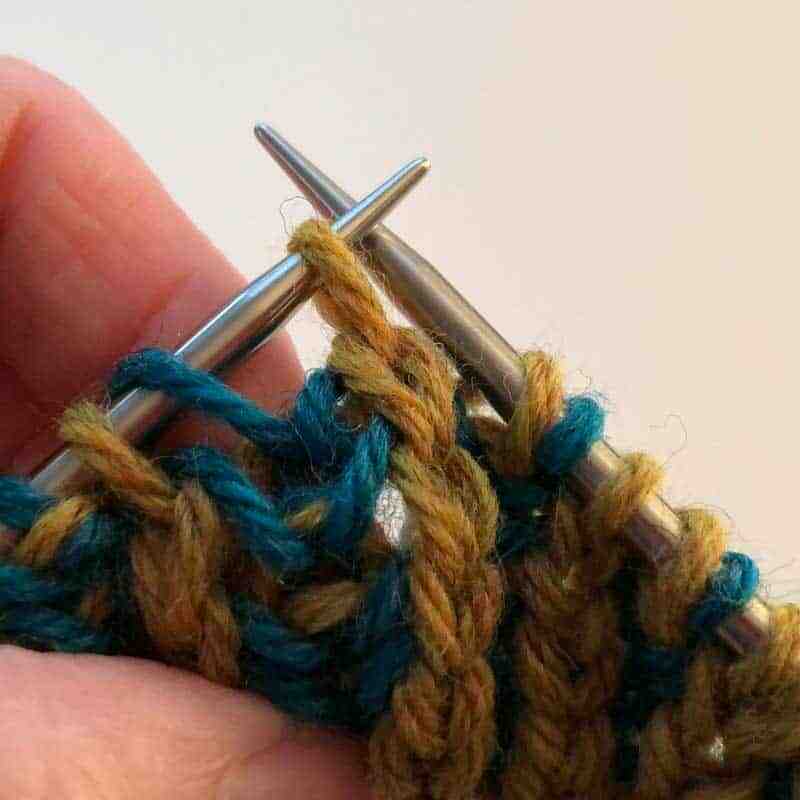 Step 2: Knit the next stitch. 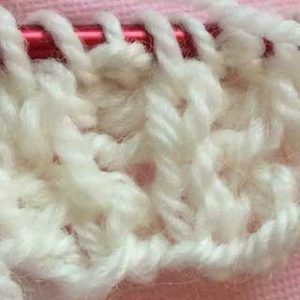 Step 3: Pass the slipped stitches over the stitch you just knit. 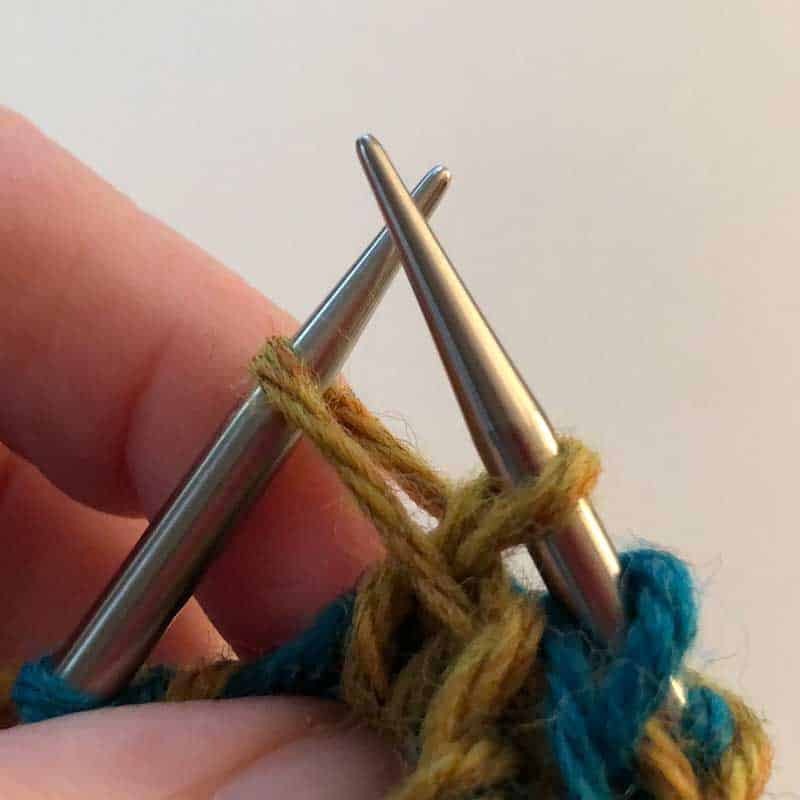 Step 4: Slip (purlwise) that stitch you just knit to the left needle. 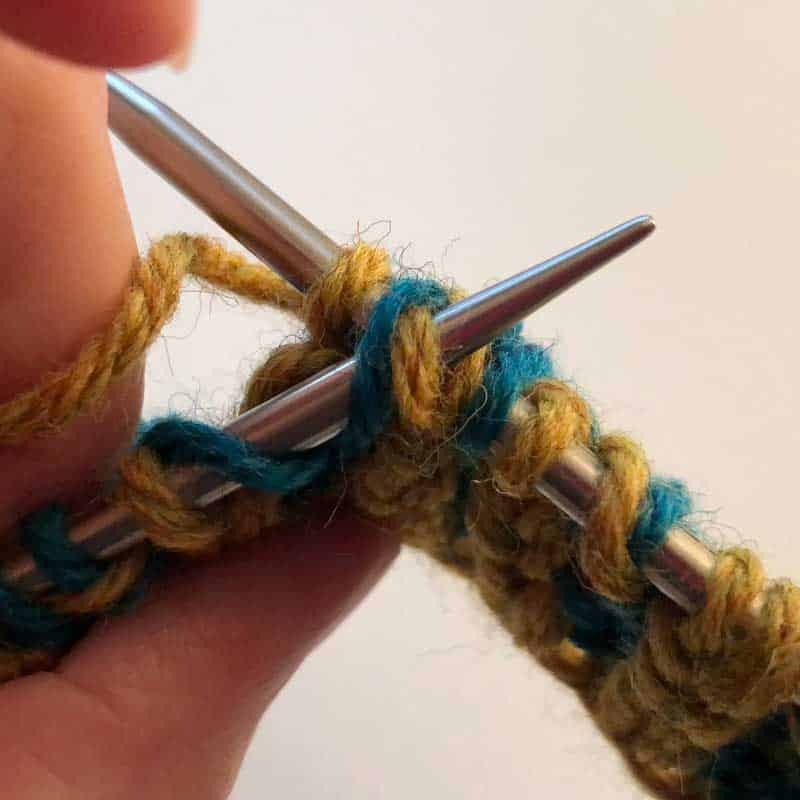 Step 5: Pass the next brioche stitch to the left of that knit stitch, over the knit stitch. 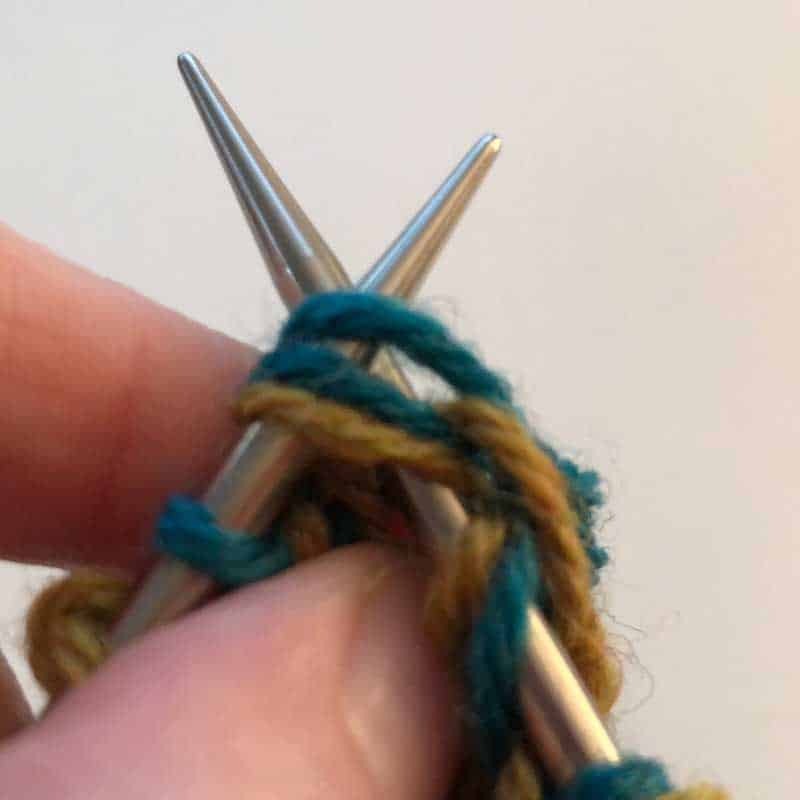 Step 6: Slip (purlwise) that stitch to your right hand needle. 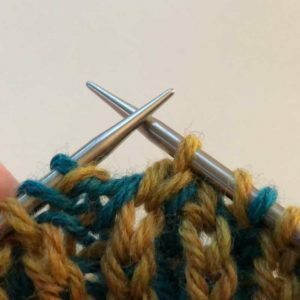 You have now created a brioche decrease with a right slant. 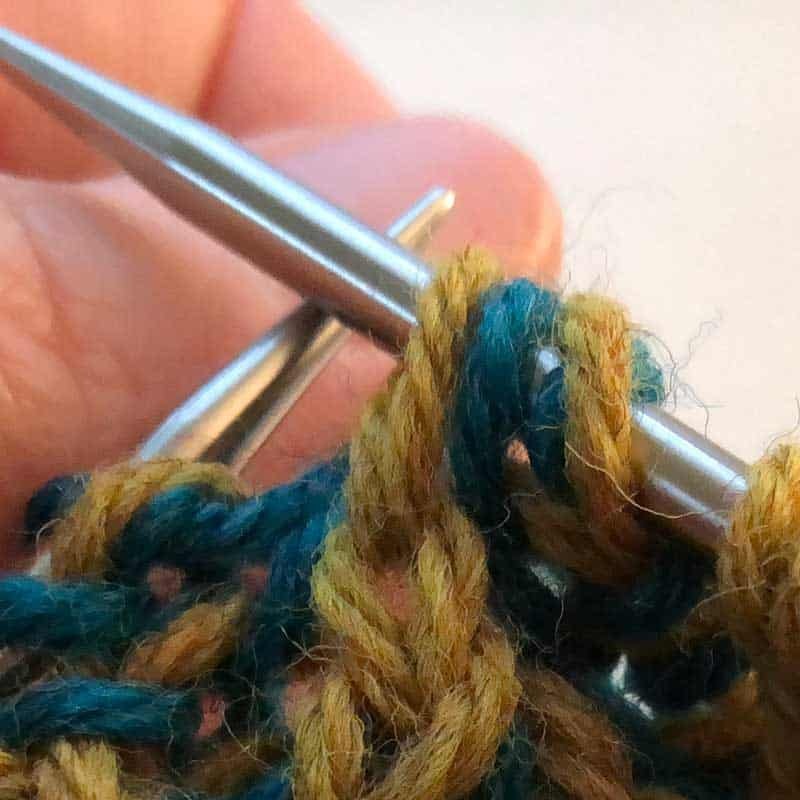 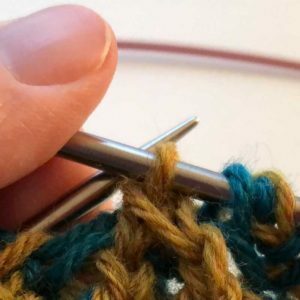 Step 1: Slip the first brioche stitch (consists of 2 stitches) – as if to knit – to the right hand needle. 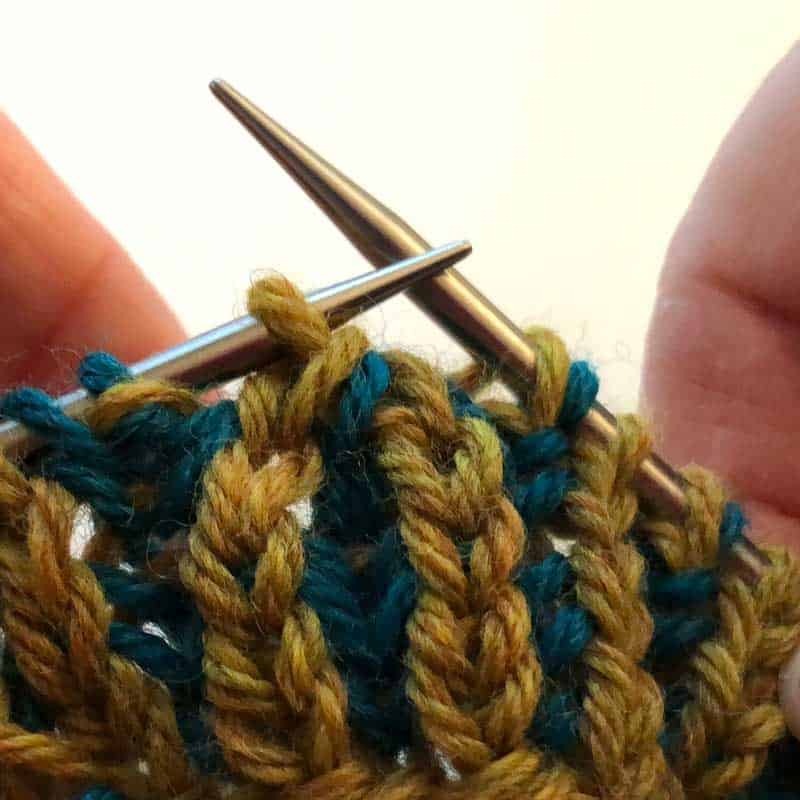 Step 2: Knit the next stitch AND the next brioche stitch together. 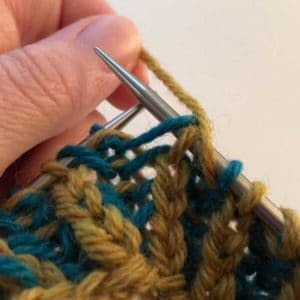 Step 3: Pass the slip stitch on the right hand needle over the knit stitch and the brioche stitch that you just knit together. 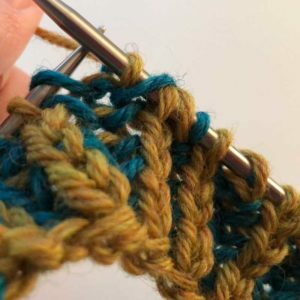 You have now created a Brioche decrease with a left slant.